August 27, 2018: InterContinental Railway founder George Koumal and Chief Project Advisor Scott Spencer will be interviewed live on KNOM radio (780 AM / 96.1 FM) at 9:30 a.m. today. Mr. Koumal and Mr. Spencer will also present the InterContinental Railway and report on their current travels along the Bering Strait at 1 p.m. today at the Northwest Campus of the University of Fairbanks in Nome. August 22, 2018: InterContinental Railway founder George Koumal and Chief Project Advisor Scott Spencer participated in their second community meeting in Wales, Alaska. Their presentation was followed by a lively debate about the advantages the project will bring to the community as well as the impact on the environment. The next day they visited one of the picking fields which provide a livelihood for the community near where the tunnel portal could potentially be built. Mr. Koumal and Mr. Spencer also met with Russia adventurers Sergei and Jana, who washed ashore that night on a self-made pontoon boat. They crossed the Bering Strait in fourteen hours. The ride through the train tunnel will take approximately one hour. August 22, 2018: InterContinental Railway Chief Project Advisor Scott Spencer was interviewed live from Little Diomede island, Alaska on WDEL radio in Wilmington, Delaware. Listen to the interview here. August 21, 2018: InterContinental Railway founder George Koumal and Chief Project Advisor Scott Spencer participated in their first community meeting on Little Diomede, Alaska. They received a warm welcome and were treated to an evening of Eskimo dances. August 18, 2018: InterContinental Railway co-founders Joseph Henri and George Koumal and Chief Project Advisor Scott Spencer participated in a symbolic golden spike ceremony at the Alaska Railroad in Whittier in honor of the decades of work Mr. Henri and Mr. Koumal have dedicated to making the InterContinental Railway become reality. InterContinental Railway Chief Project Advisor Scott Spencer meets with legendary astronaut Buzz Aldrin. Mr. Aldrin was impressed by what he heard about the ICR. He said he saw the Bering Strait from outer space but never from the surface. Meet InterContinental Railway Chief Project Advisor Scott R. Spencer and senior consultant George M. Koumal at InnoTrans in Berlin. Mr. Spencer and Mr. Koumal will be meeting with railroad executives, manufacturers and public officials to discuss ways to cooperate on making the Intercontinental Railway come to life. To book a meeting with Mr. Spencer and Mr. Koumal, please send an email to srspencer@intercontinentalrailway.com. InterContinental Railway Chief Project Advisor Scott Spencer and George Koumal, founder of its predecessor organisation Interhemispheric Bering Strait Tunnel and Railroad Group (IBSTRG) will be traveling to Anchorage, Alaska and to the Bering Strait region August 15-Sept. 2, 2018. 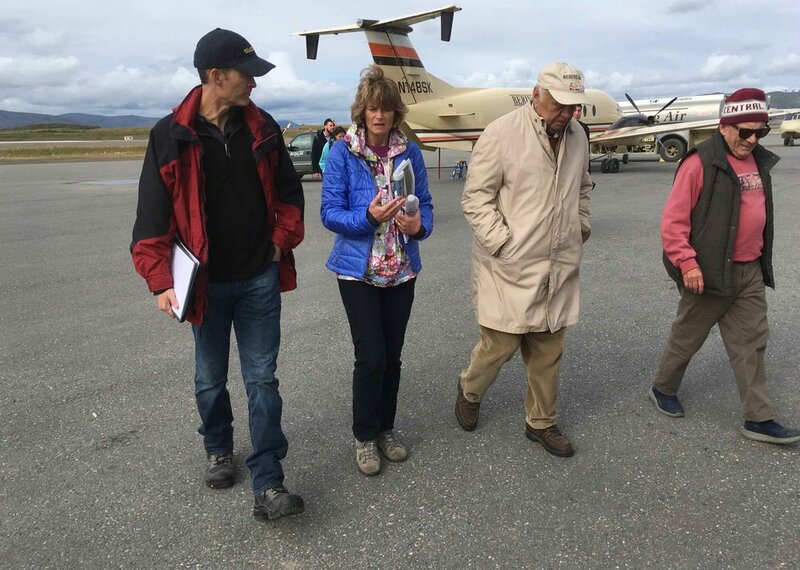 During this fact-finding trip, they will meet with their long-time colleague Joseph H. Henri (lawyer and businessman, Anchorage) as well as Alaskan and federal officials to discuss the ICR and the benefits it would bring to Alaska. They will also meet with local officials, tribal councils and villagers in Nome, Wales and Little Diomede to hear their hopes and concerns about the ICR.